I have long been a fan of all things cryptozoological—along with UFOs, treasure hunting, archeology, and just about every other “nerdist” pursuit one could think of in the realm of mystery. But cryptozoology, the study of “hidden animals,” is the one I find most interesting, as it refers to the search for undiscovered—though quite possibly nonexistent—animals such as Bigfoot, Loch Ness, Champ, and the chupacabra. Animals that could very well be—and indeed in some cases likely are—lurking in our own backyards. Around my hometown of Brockton, Massachusetts, we have the Bridgewater Triangle, an area of about 200 square miles that encompasses the Hockomock Swamp (Hockomock meaning the “place where spirits dwell”). 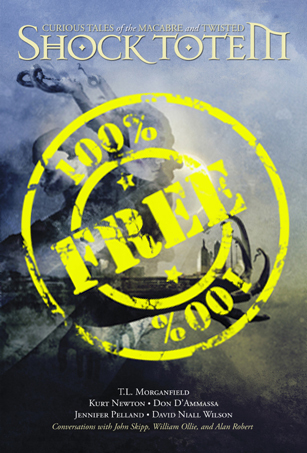 For centuries it has been the location of UFO and Bigfoot sightings, as well as giant birds and mysterious lights. There have been reports of ghosts, of Satanic rituals being performed. Though I’ve not witnessed anything out of the norm in the triangle—and I’ve looked—it has nonetheless fascinated me since childhood. The small town of Fouke, Arkansas, has been that place of fascination and mystery for many people, as well, specifically musician and author Lyle Blackburn. And his first book, The Beast of Boggy Creek: The True Story of the Fouke Monster, is a testament to this. Lyle Blackburn is probably best known as Count Lyle, lead singer/guitarist for the gothabilly horror-punk band Ghoultown. But he’s also a damn good writer, and The Beast of Boggy Creek showcases this. The book attempts to compile the complete history behind the legendary cryptid known as the Fouke Monster, from possible sightings in centuries past to more modern-day sightings, specifically the 1971 sightings that sparked the backwoods legend we now know as the Fouke Monster. Obviously it covers the classic horror film, The Legend of Boggy Creek, in depth, as would be expected, but it goes beyond that. 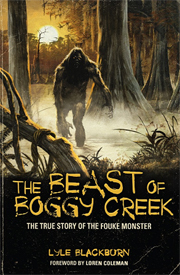 Peppered throughout The Beast of Boggy Creek are detailed eye-witness accounts, collected theories, a chronicle of sightings of “hairy bipedal man-ape creatures within 50 miles of Fouke” (though not a comprehensive list of all sightings, as that alone would take up an entire book itself, if not more). There are also personal anecdotes from the author, maps, illustrations, photos, and an exhaustive bibliography for the would-be crypto-geek. This is a detailed and engrossing history lesson, one that could only have been written by someone with a passion for the subject matter and the inherent mysteries that surround cryptozoology. Perhaps the best thing about this book, however, is not that it is such a comprehensive look at the Fouke Monster, but that it is presented as a compelling, personal story. Lyle Blackburn doesn’t just give you the details in a stale, here-are-the-facts manner, as is often the case with similar works of nonfiction; he presents it all as if he were on stage with Ghoultown—it’s a show, it’s entertainment, and for all intents and purposes, it’s real. 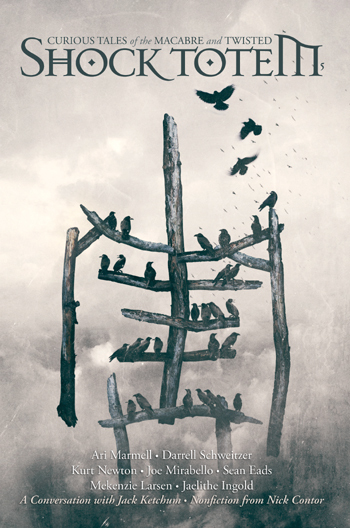 Whether you’re a hardened believer, a skeptic, or something in between, The Beast of Boggy Creek is a highly recommended and entertaining read. And if you want more, check out Lyle’s Monstro Bizarro column over at the Rue Morgue website for additional crypto reads. 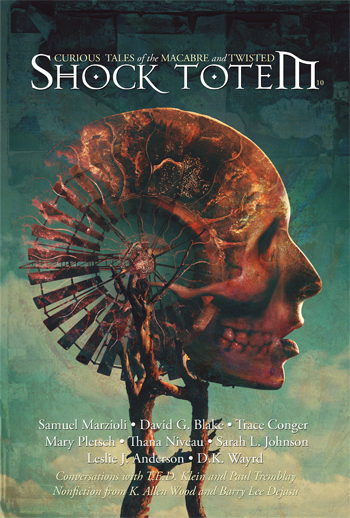 This review originally appeared in Shock Totem #5, July 2012.